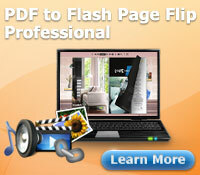 Image to Flash Page Flip MAC-convert regular image to photo flip book with flip page flash on MAC! Publish as HTML or executable software. 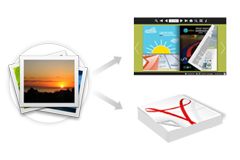 If you are a big fan of MAC OS and want to convert your personal images to fun photo flip book? Then Image to Flash Page Flip MAC is pretty nice for you. It offers you with very easy and friendly interface and you can definitely be a master of it very soon. And lots of functions of editing image are embedded in it. For instance you may pretty your photo book with beautiful frame or clipart. Finally you can publish your photo flip book as html or apps. Whether you are media professionals, marketers, publishers, media agencies or web designers, Image to flash page flip MAC is the perfect tool that entertains your reader at a level you could never before achieve. When you finish your photo flipbook, you can open with the memory, listen the music with the happiness, you will find you have never got such a nice feeling. Besides, it can be read anytime, anywhere without internet- on the bus, plane etc. Image to Flash Page Flip MAC not only allow you to convert ordinary images to animated digital photo album, but also support many different type of conversion. Just take any way you need most. You can either turn your collectible images to PDF, or append to existing PDF, or build to multi-page FTPP and so forth. 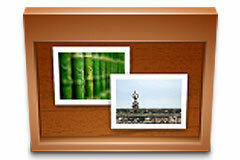 Image processor is embedded in our Image to Flash Page Flip MAC. 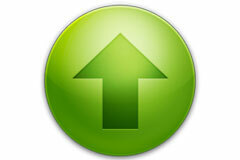 You may rotate your image in the suitable angle and vertical flip the page or horizontal flip if necessary. 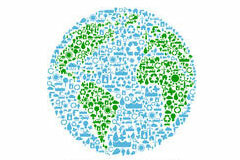 Beyond that, we offer free gorgeous clipart and frame to let your flipping image looks more appealing and attractive. 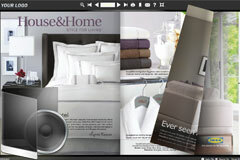 Want to read a page flip book while listening to your favorite songs or piano piece? Sure you can! 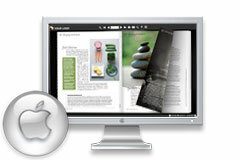 Image to flash page flip MAC gives you the possibility to add any sound to your publication. And playing on a continuous loop or only once can be defined. Image to Flash Page Flip MAC is the best solution for you to make green decision while store up your photos. Reading the photo book with flip page flash not only reduces your cost of printed version but also lower our carbon footprint. And it’s good for bottom line and environment since it save paper by converting and distributing digital replica of your favorite photo book. It would be very nice to let more and more people share your unforgettable memories. 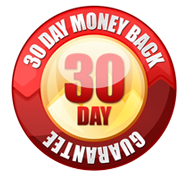 With Image to Flash Page Flip MAC, your photo flipbook is ready to go viral across social networking sites such as Face Book, Twitter, LinkedIn and blogs. 2.Choose the built-in clipart and frame to prettify the images.